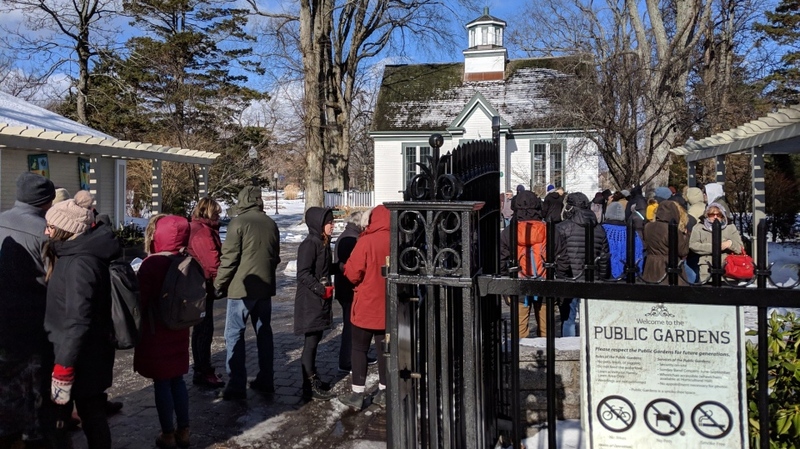 HALIFAX -- Haligonians lined up in the cold Thursday for a crack at free seeds from a desert plant that briefly thrived outdoors in this North Atlantic city -- and became beloved. 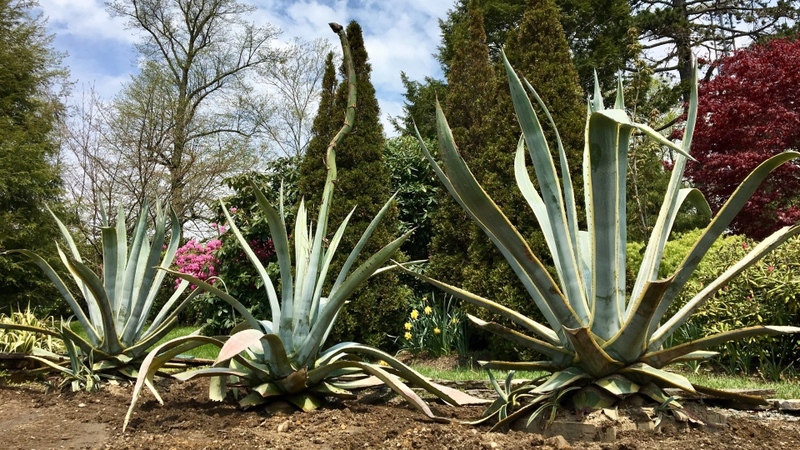 The Agave americana drew crowds to the Halifax Public Gardens last summer after being transplanted from a greenhouse in anticipation of its final farewell. It bloomed and became a social media sensation, with many flocking to the downtown gardens to snap a photo next to the impressive plant. When it died, staff spent weeks drying out the plant and extracting the ripe seeds. 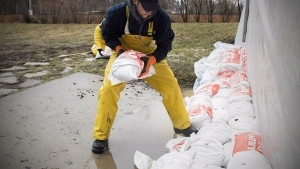 On Thursday, the gardens distributed about 150 seeds on a first-come, first-served basis. People of various ages who were interested in trying to grow their own agave stood in a line that stretched down the block, before organizers posted a handwritten message saying they were out. "Please try again in about 60 years," it said. The agave is native to desert climates like Mexico and the southwestern United States. Once in its roughly 25-year lifetime, an asparagus-like stalk up to 12 metres tall shoots up from the plant and births a cluster of blooming flowers -- and then dies. Haligonians line up for a chance to take home a free seed from Halifax's famed agave plant on Jan. 31, 2019.